VC, or Virtual Currency, has been a staple of the NBA 2K franchise for as long as we can remember, and it returns once again for NBA 2K19. In this complete NBA 2K19 VC guide, we'll be walking you through how to earn NBA 2K19 VC quickly in-game, as well as detailing the full list of NBA 2K19 VC prices for if you're shelling out money for the currency. But if you instead need a helping hand with anything else on the latest iteration of the long running 2K sports franchise, you’ll want to head over to our NBA 2K19 guides hub. It’s on this page that you can find all the information you need to know about the new game, including a complete list of the best players in the game, as well as a full beginner’s tips and tricks section. Firstly, if you’re new to NBA with this iteration of the game, then you’ll need to know what Virtual Currency is actually used for in the game. One of the biggest uses of VC is to upgrade your player in the MyCareer mode, as you work your way up from draft failure to superstar player, all within a story-like mode. You can upgrade attributes like three point shooting, step-back, cutting, and other key skills for your player with Virtual Currency. 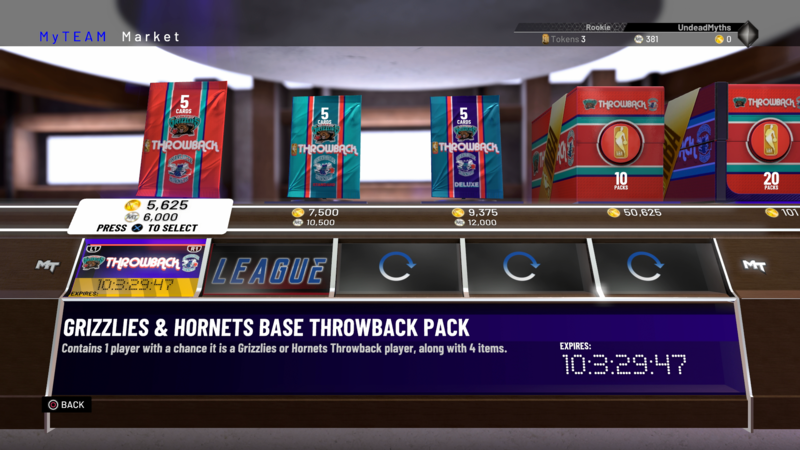 Another huge feature for VC in NBA 2K19 is to purchase packs in the MyTeam mode. This mode basically functions as the Ultimate Team of 2K’s sports game, and you can use VC to purchase packs from the MyTeam Market, that give you a random chance of obtaining a few more players, jerseys, and other items. But what are the best ways of earning VC in NBA 2K19? In the list just below, we’ll walk you through some of the quickest, and most effective ways of bagging yourself some Virtual Currency. If you head into MyCareer and opt to go into the Neighborhood mode, you’re always guaranteed to earn some VC, even if your team ends up losing. Elsewhere in MyCareer, you’ll earn VC through every single game you play, and you’ll earn more VC for passes and shots made. A sneaky way of earning some VC is through simulating MyLeague games, and then jumping into the game at the last minute, and seeing it out manually. 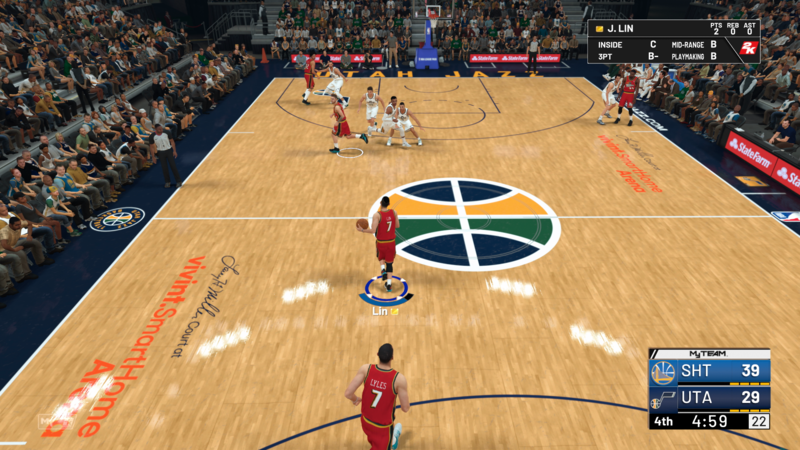 Jump into MyTeam, and play through some single player games. You’ll stack up VC if you can really get a good offensive flow going between your players, and while you play through single player games, you’ll also be working your way towards earning some new elite players for your team. Although Virtual Currency can be earned through playing NBA 2K19, there's always the option to drop some cash on the currency. Just below, we'll be listing the full range of NBA 2K19 VC prices. We’re now wrapped up with this NBA 2K19 guide on earning VC quickly, but there’s plenty more guides to the game, here at USgamer. You can head over to our NBA 2K19 player ratings page, where we’ve ranked the top overall players in the entire game, or our NBA 2K19 offensive controls guide, for if you need a full layout of the control scheme.